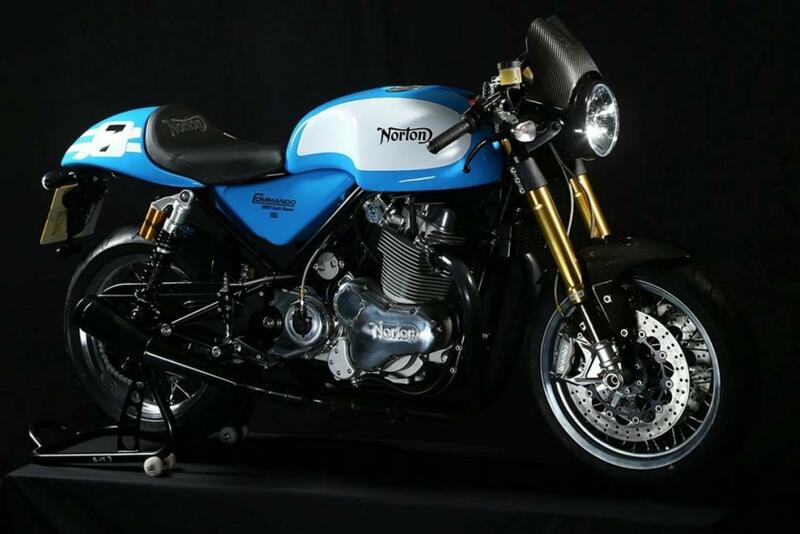 For 2016 the British manufacturer Norton Motorcycles has decided to pay homage to one of their great riders, by creating a special version of the 961 Cafe Racer, named Mick Grant. The Norton Commando was presented for the first time at the London Motor Show in 1967 and produced from 1968 to 1977. 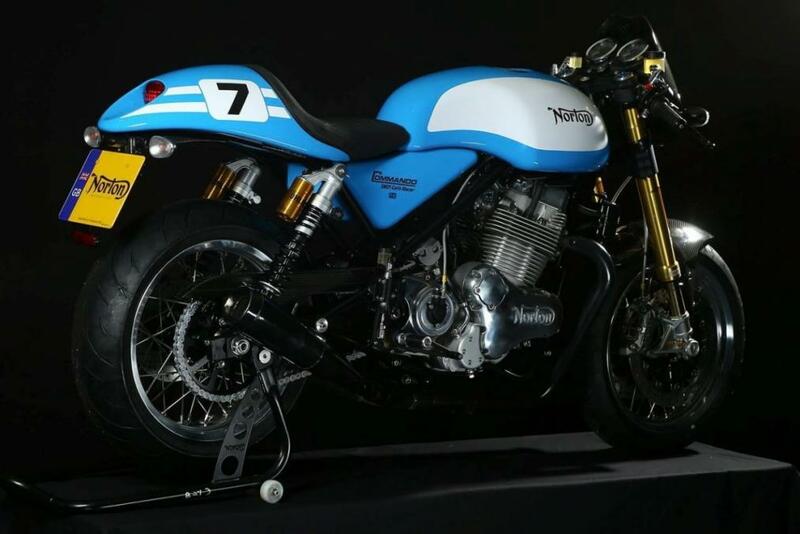 With this Limited Edition you go back in time to 1972, when the Norton Commando was on the market for four years. At the Thruxton 500 endurance race, which is 500 miles, two riders raced the production series for over nine hours. Dave Croxford and Mick Grant (seven times winner of the Tourist Trophy) were victorious. The limited edition is blue with a number 7 on the tail. Only 7 copies will be made by hand and then uses the parallel twin engine from 961 cc dry sump with 80 hp at 6,500 rpm and 90 Nm of torque at 5,200 rpm. In addition to the colour and appearance, it differs in some details in carbon, such as the front fender, the windshield and the chain cover. Other details are black instead of chrome, such as the signature of Mick Grant. 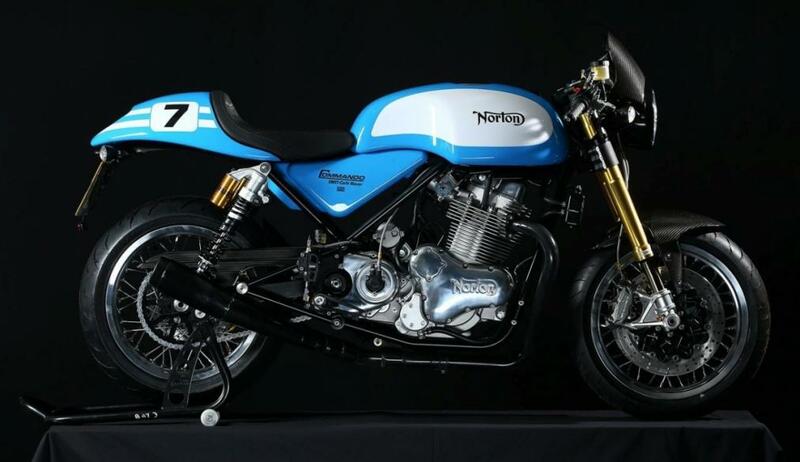 The seven lucky owners, who have ordered this version will have to pay 18,715 pounds, equivalent to just over 25,000 euro, almost 3000 more than its Cafe Racer base model, which costs 15,750 pounds. 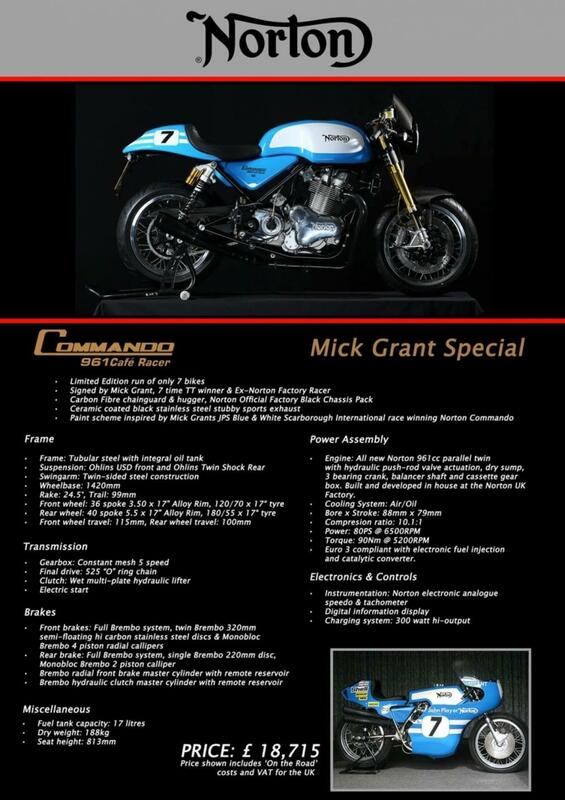 Owners will have the privilege to pick up the motorcycle at the plant in Norton Donington, directly from Mick, along with the certificate of authenticity.